English journalist and mechanician; born at Kennington, London, Feb. 19, 1830; died in London June 15, 1875. He was educatedat the City of London School; in 1844 he went to Paris as clerk in a counting-house, and later entered the office of the "Mechanics' Magazine." In 1857 he established a business as patent agent, which he carried on until his death. 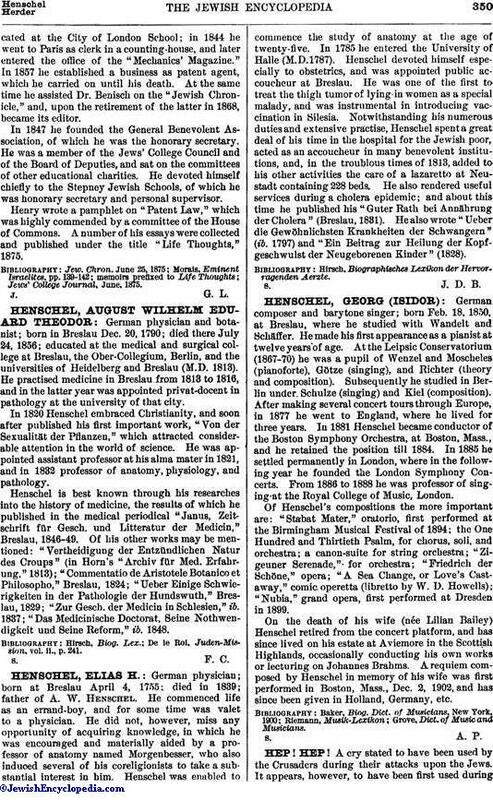 At the same time he assisted Dr. Benisch on the "Jewish Chronicle," and, upon the retirement of the latter in 1868, became its editor. In 1847 he founded the General Benevolent Association, of which he was the honorary secretary. He was a member of the Jews' College Council and of the Board of Deputies, and sat on the committees of other educational charities. He devoted himself chiefly to the Stepney Jewish Schools, of which he was honorary secretary and personal supervisor. Henry wrote a pamphlet on "Patent Law," which was highly commended by a committee of the House of Commons. A number of his essays were collected and published under the title "Life Thoughts," 1875. 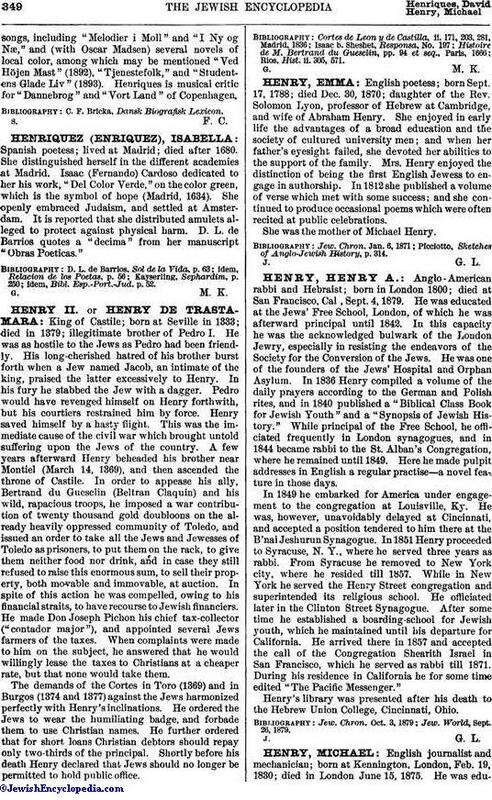 Jews' College Journal, June, 1875.